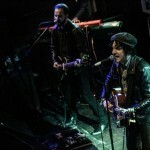 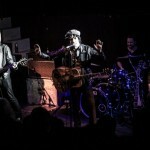 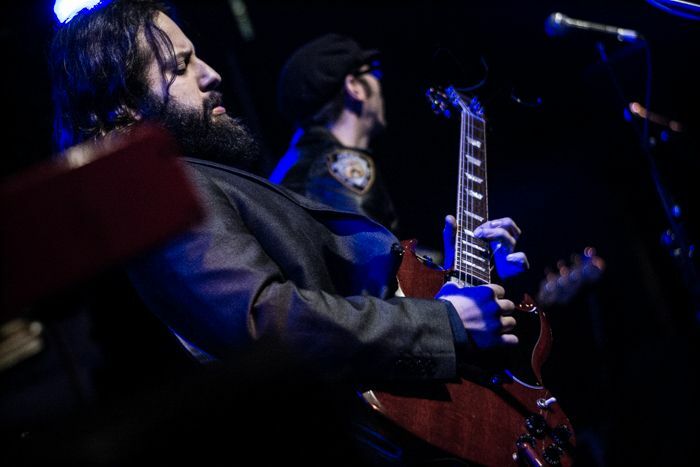 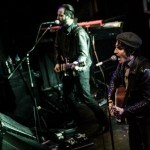 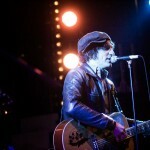 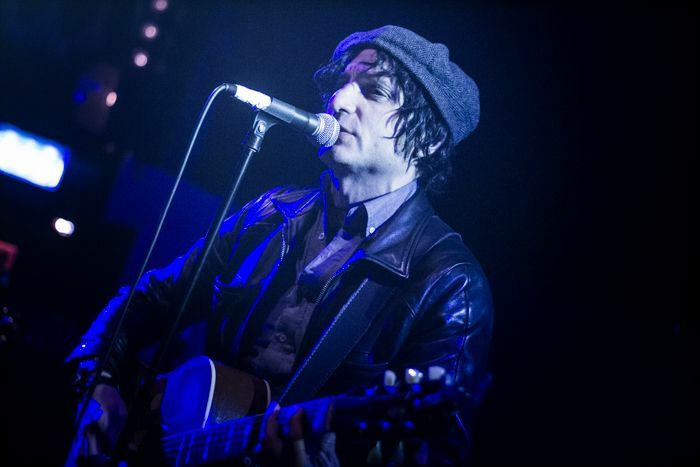 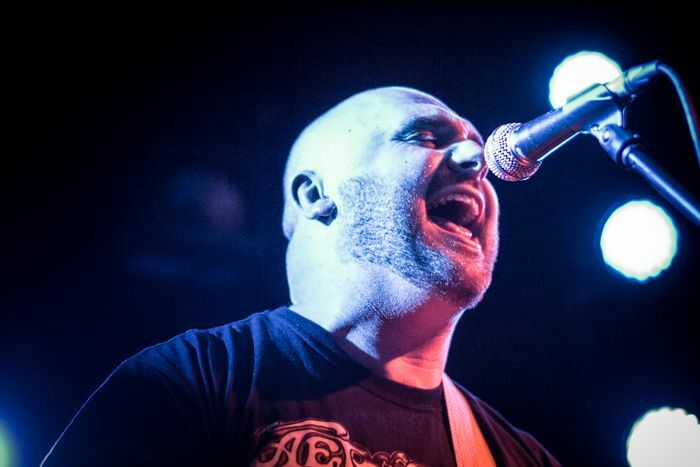 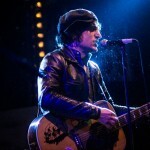 New York’s finest punk troubadour brings his deep fried soul and shaggy dog tales to Wolstenholme Square, Getintothis’ Alan O’Hare soaks up the rock and rattle of Jesse Malin. 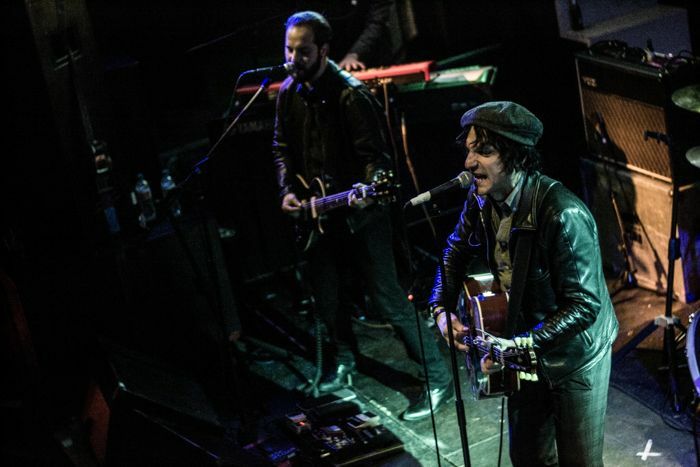 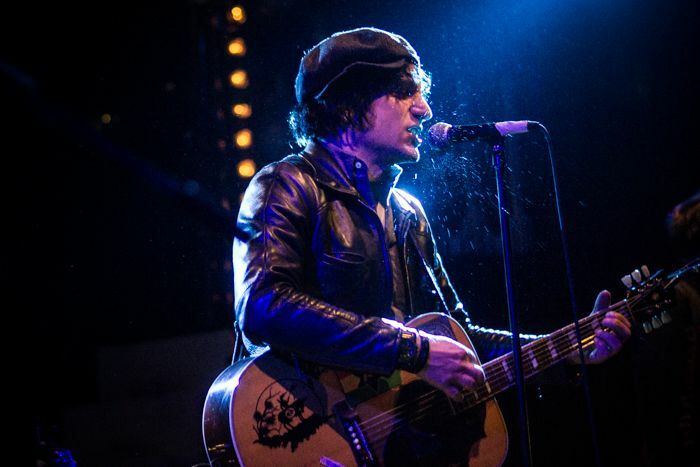 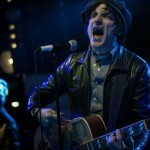 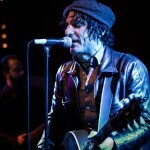 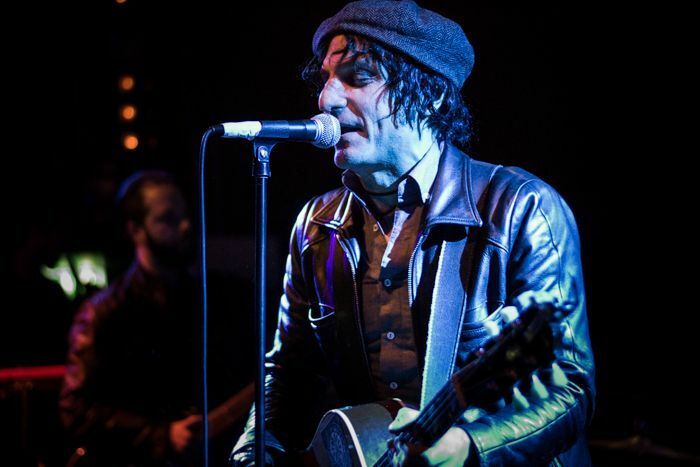 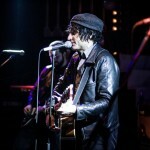 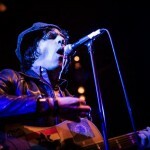 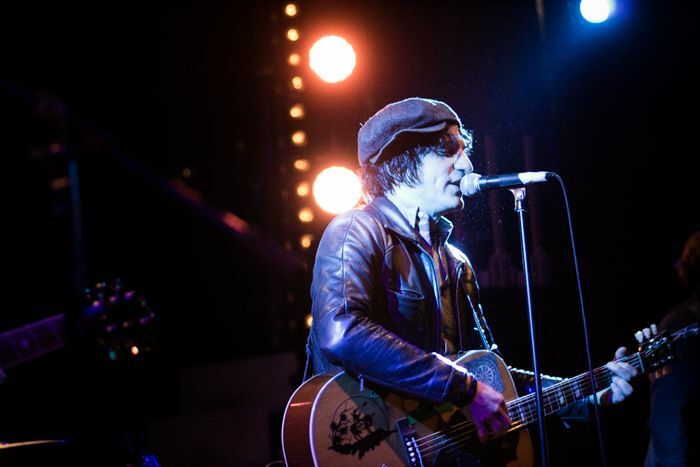 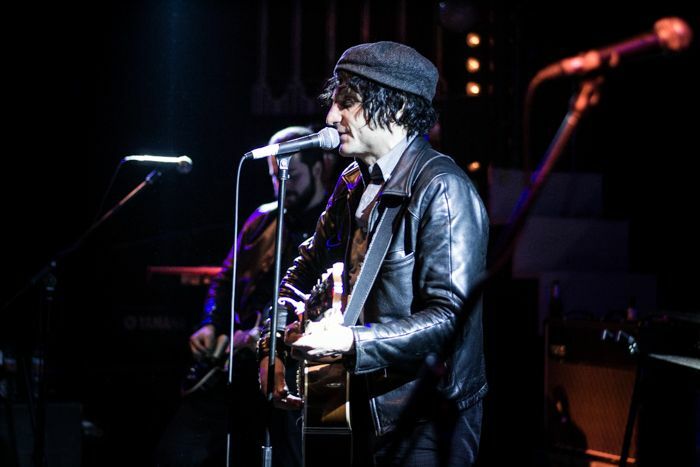 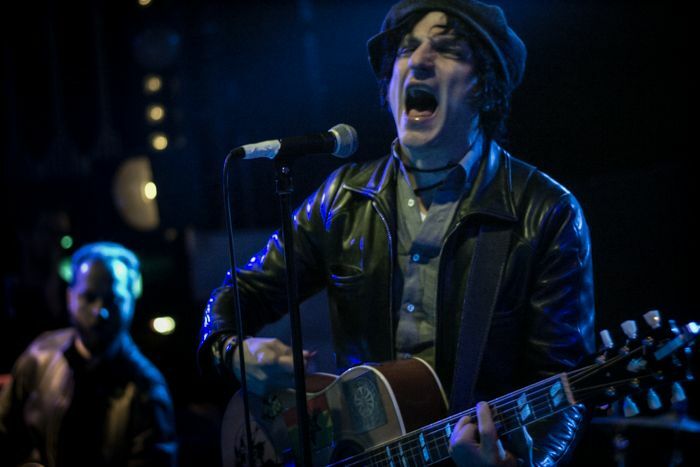 There’s a fine line between soul and shtick… and Jesse Malin walks it. 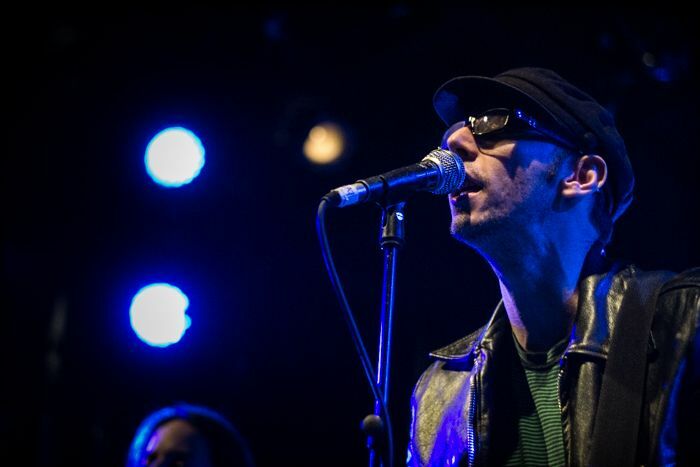 Sure, some might say he crosses that line into beat-poet bunkum, but the native New Yorker backs up his boasts with the tunes to match. 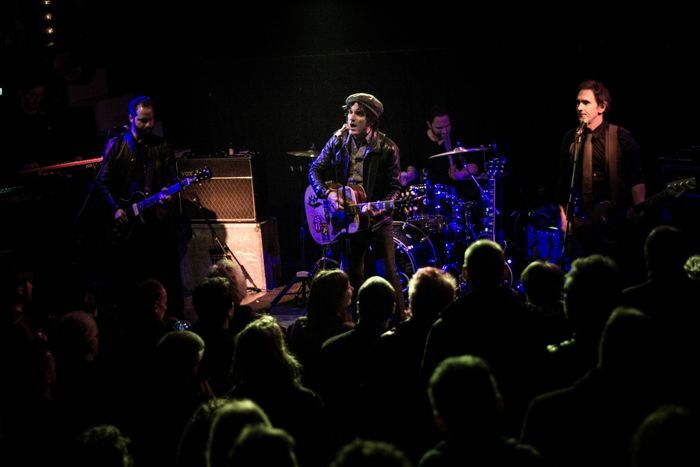 In town with nothing to promote other than a set of new songs, Malin attracted a decent crowd to The Kazimier on a cold Wednesday night. 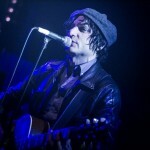 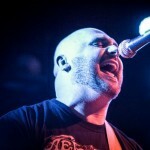 The Liverpool date was the penultimate gig on a long UK tour and the singer’s voice was carrying the weight of the previous dates. 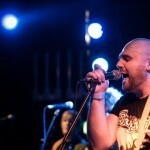 Luckily, his rocking band was also carrying that match fitness too and they sounded great. 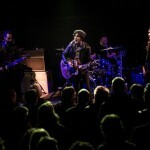 Slipping from rockers to ballads – with a dash of soul in between – Malin alternates between a rattling acoustic guitar and a heavy Les Paul, and the band respond to match: the organ swells, the bass beats and the drums propel the songs into the light and shade of crescendo and quiet. 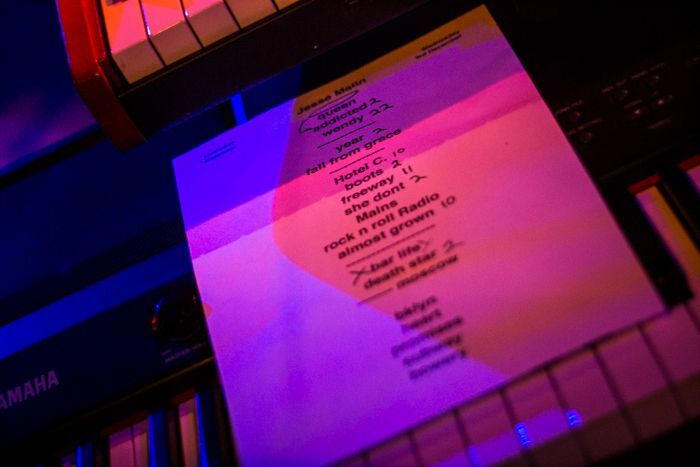 In short, it’s a rock ‘n’ roll show. 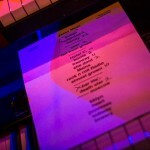 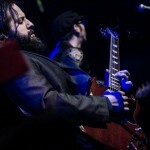 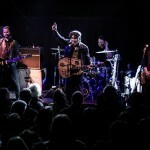 Older tunes like Almost Grown, Brooklyn and Riding On The Subway are received like long lost friends, while the songs from his next record (funded on Pledge Music) go over well too: the deep fried soul (complete with longing saxophone) of She Don’t Love Me Now being a particular highlight. 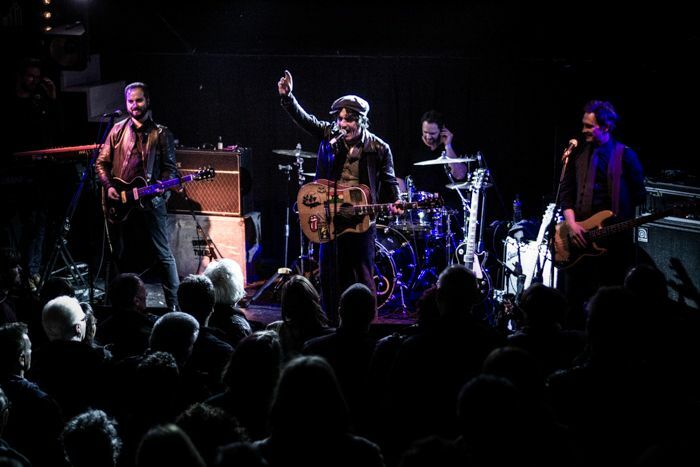 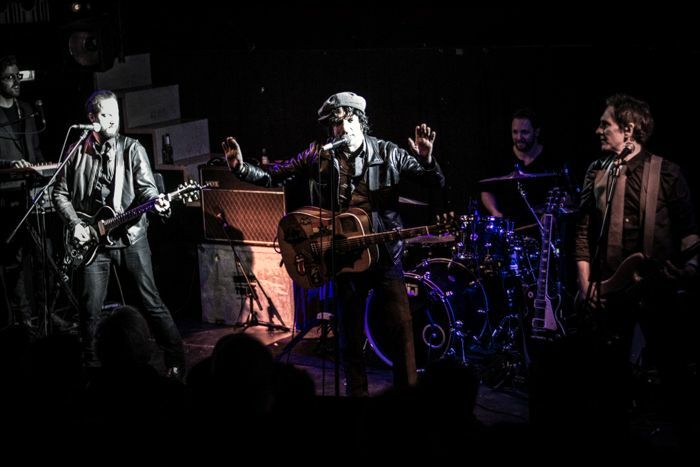 No Malin gig is complete without his Tom Waits-esque shaggy dog tales and The Kazimier is treated to a special interlude as the front man joins the crowd and invites them to sit down and sing fan-favourite Bar Life with him. 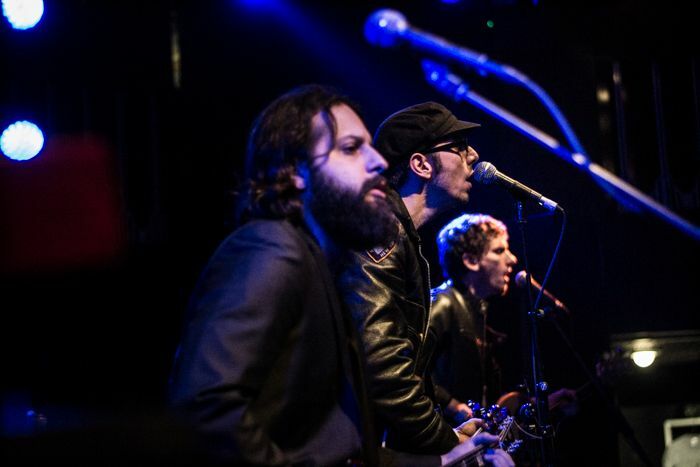 They do it – reluctant hipsters with beards included – and heart and soul triumphs over cool with everyone’s phones kept in their pockets. 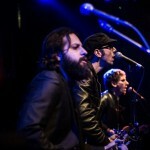 Covers of The Ramones (Do You Remember Rock ‘n’ Roll Radio?) 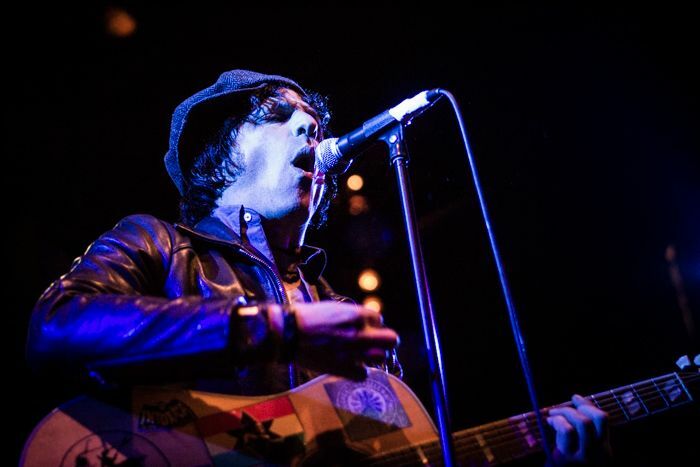 and Lou Reed later (a funky Sally Can’t Dance) and it’s nearly all over, just Jesse and his acoustic guitar singing a B side to his dedicated followers of passion. 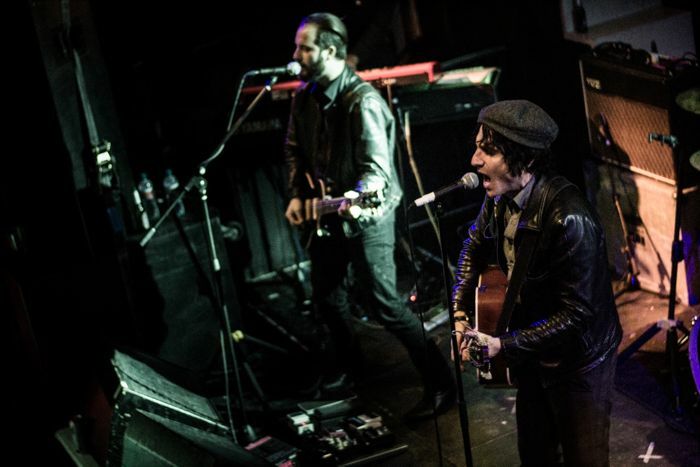 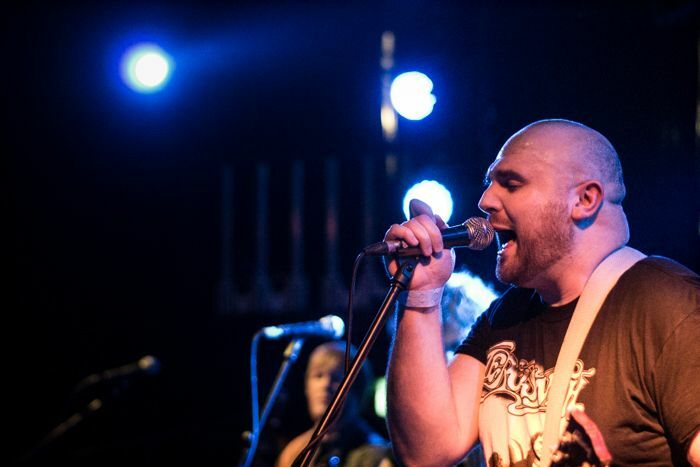 Liverpool’s The Buffalo Riot opened the night early with their brand of psychedelic folk ‘n’ roll. 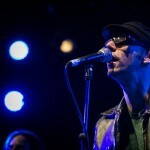 Certainly, it was too early a start to impress a full room, but the early birds were treated properly and given a show, before tour support Hollis Brown (including a couple of Malin’s band on double duty) impressed with a short, sharp set of sweet tunes that sounded not too dissimilar to the main man’s brand of rock n roll.